For the first time they have sold more than $1 billion in their biggest export market — and it is only going to get much, much bigger. But the Chinese are now pushing back, planning to become the world’s top number winemakers and produce top-quality wines to win back their own consumers. 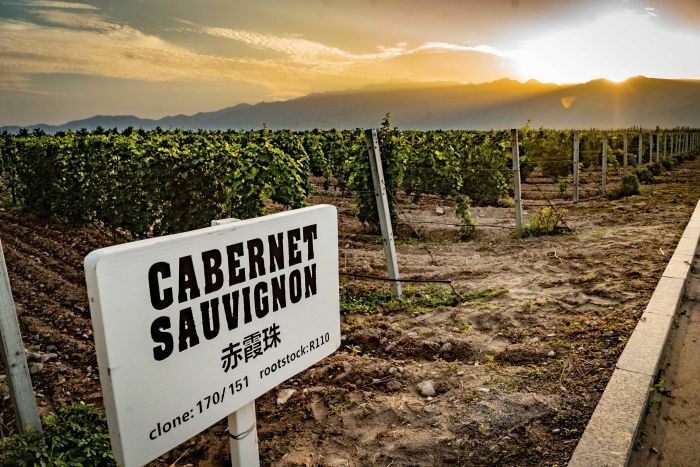 It’s early morning in Ningxia, China’s premier wine growing region. The air is cold and crisp — ideal for harvesting grapes. On the edge of the Gobi desert, Ningxia was once arid land but in less than 20 years the Chinese have built a massive wine industry here. 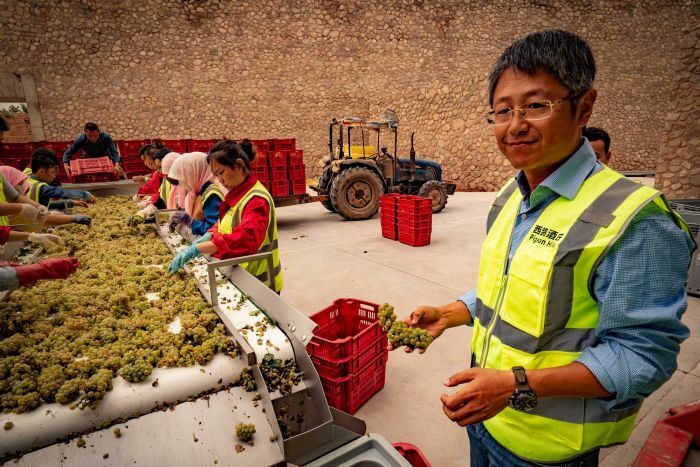 Liao Zusong is the chief winemaker at Pigeon Hills, the biggest winery in Ningxia, and is directing the harvest. “I want to make best wines in China, the top wine, to let all Chinese know that’s my aim,” he told 7.30. And like many others here Mr Liao learnt his craft in Australia, spending three harvests in Victorian winegrowing regions. “I learnt the whole process from grape to wine,” he said. Mr Liao’s boss, owner Zhang Yanzhi, is also looking to Australia for inspiration. He has distributed Penfolds wine in China for seven years. It has been an Australian success story — building a brand off what it markets as top-shelf wines, then selling cheaper quality wines off the back of that. It is a model Mr Zhang wants to emulate. He has 400 distributors across China, ready to release 10 million bottles to win back Chinese drinkers. 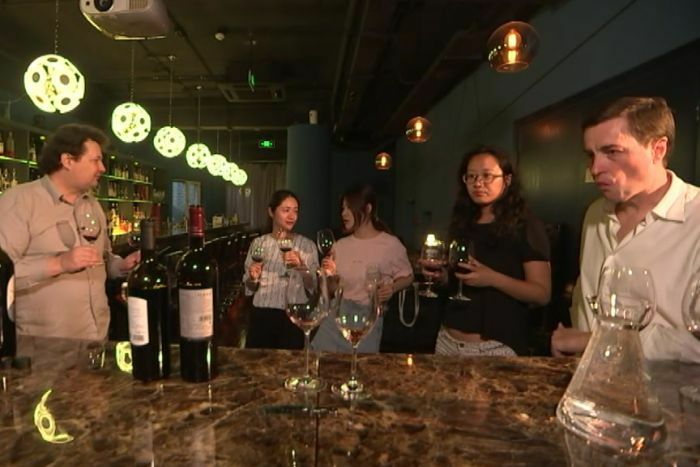 “Making good wine is the easy part, [the] marketing side is the most difficult, but our strategy is to give them good choice, good brand, good quality, good price and when they try they’ll become consumers of Chinese wine,” Mr Zhang said. In Margaret River, Mike Gadd is about leave for Ningxia. 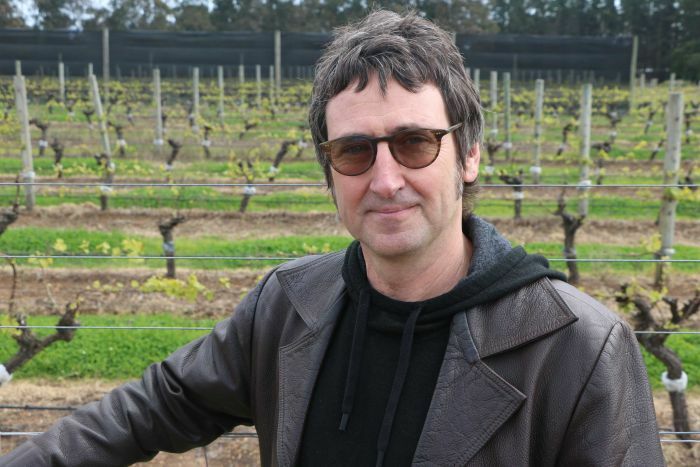 He is one of several Australian winemakers helping the Chinese make top-notch wines. He believes it only builds on Australia’s reputation of quality and that translates into more Chinese sales. “It’s a big market and if they all decided to have a glass of wine there’s not enough wine in the world,” Mr Gadd told 7.30. Mr Gadd insists he is not selling any secrets, just the basics; attention to detail at every step of the way. “They’ve got a lot of work to do in their viticulture,” he said. In the beginning the Chinese just used to copy French and Italian chateaus. It was more about the real estate than winemaking. 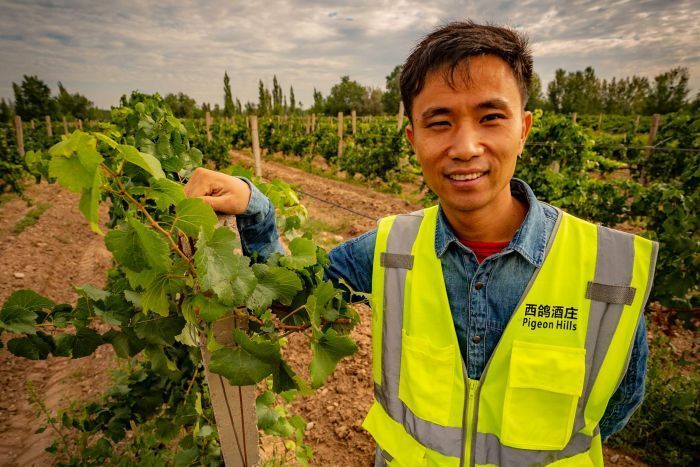 But that is changing, and a new generation of winemakers in Ningxia is starting to give a distinctive taste to Chinese wine — and most of them are women. Wang Fang, or Crazy Fang as she likes to be known, is unconventional. She takes risks and that has brought success. 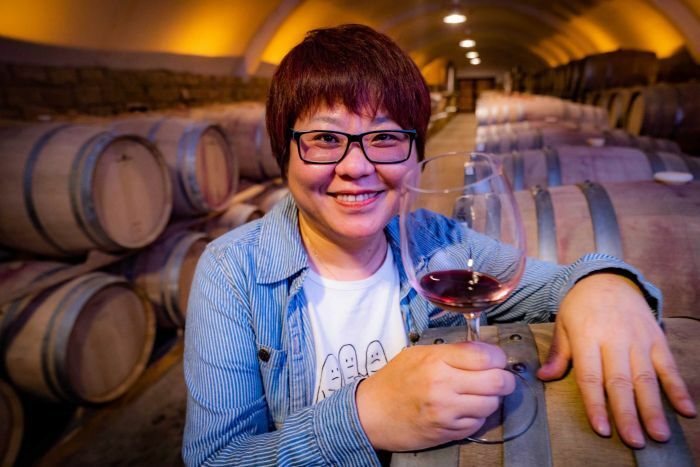 Her wines have won top international awards like the Decanter Award, and renowned American wine critic Robert Parker has said her wines are the best in China. Wang Fang likes a challenge, and the latest is making a Riesling in a red wine region. “For the soil, climate it’s always a big risk to plant riesling,” she said. Crazy Fang is one of the first Chinese winemakers to break into the Australian market. Her signature reds were on the shelves of an Australian liquor chain early this year but quickly sold out. 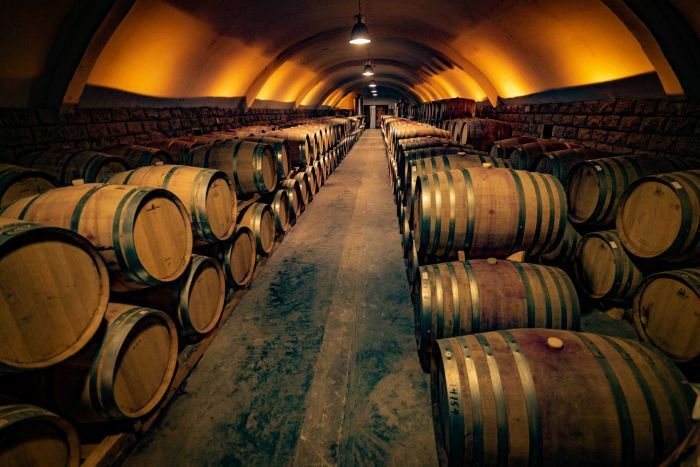 She is about to fill a much bigger order, and she is getting an early taste in the cellar beneath her winery. As she savours the taste she announces it as one of her best. “When I smell there’s not too much oak,” she said. “I’m happy I can smell herbs, like medicine herbs from the soil. She hopes it does well in the Australian market. “To be honest I love Australian wines,” she said. Crazy Fang says its too early to define what Ningxia wine is; they’re still experimenting and still developing. 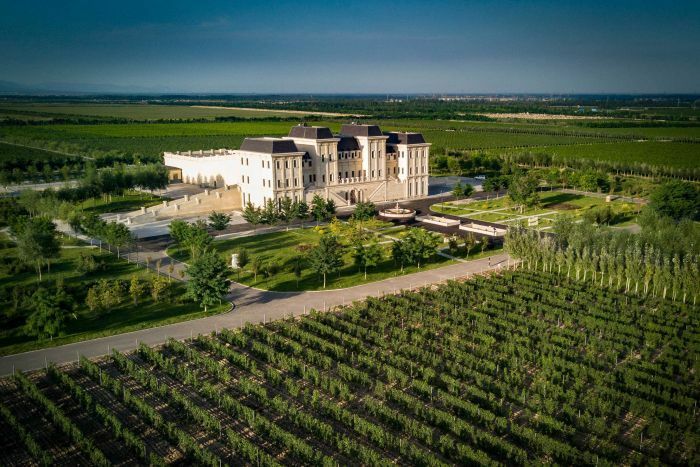 She thinks it will probably take another decade before China’s wine regions like Ningxia can be counted with the best like the Barossa or California’s Napa Valley. But for that to happen China has to develop its own wine culture. “This is what I wish — people could taste our wines in Ningxia and we have a tasting centre,” she said. In major cities of China, the rising middle classes are drinking more and more wine — and it’s mostly red. Drinking quality French or Australian wines is a status symbol, but that is changing too. At a tasting in a fancy bar in Beijing, Chinese attest to that. “Now I prefer Australian wines but in the future Chinese wines, as it develops,” one customer said. “Chinese ones [have] very good, special flavour I have never meet before,” another woman said. Wine consultant James Boyce has watched the development of Chinese wines from the beginning. “I’ve seen them over last 12 years getting increasingly better, seen fruit get better because people wait longer to harvest, becoming juicier, less barrel,” he said. He thinks China can be the number one producer, but its biggest challenge is to conquer its own market. “Yes, they can make good defining wine, but know they have to do it at a good price, they have to do both,” Mr Boyce said. And he believes Australian wines sales will continue to boom. Next year tariffs will be reduced to zero as Australia’s free trade agreement kicks in. Australian and Chinese winemakers just hope their growing relationship might help to sooth bigger diplomatic tensions. Previous articleDIY Congress – Can you predict who will win the 2018 midterms?